A toast at a party, whether formal or informal, large or small, immediately turns the evening into a celebration. What was a fantastic dinner party is now even more special, as it is focused on the achievements of one or two people, who deserve some special attention. 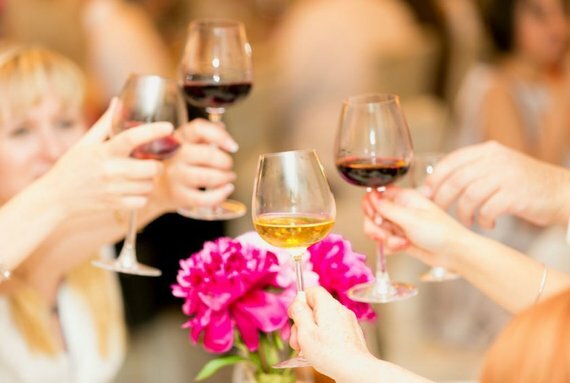 Making a toast is a huge challenge in itself: If you're the one who will be standing up to say a few lines and lead the party in a harmonized 'Cheers,' make sure you're prepared, and know all the toasting etiquette. Don't ramble on for too long, make sure that you have something in your glass before you raise it, and, even more importantly, make sure that your glass isn't filled with water. In fact, according to the world of superstition, you'd be better to toast with an empty glass than with water. The belief that you should never make a toast with water in your glass harks back to the time of the Ancient Greeks: This is a superstition with its place firmly embedded in history. According to Greek mythology, the dead would always drink from the River Lethe in the depths of the Underworld, in order to forget their past, corporeal lives. As a result of this story, the Greeks would always toast to the dead with glasses filled with water to symbolize their voyage, via the river, to the Underworld. As a consequence of this morbid story, it is considered that proposing a toast to somebody with water, is akin to wishing bad luck, and maybe even death, on him or her. Many people also believe that by toasting with water you are also wishing death upon yourself, as this liquid reflects your future watery grave. Besides wishing death upon the guest of honor and yourself, toasting with water will also incur the wrath of the Gods. Making a toast was always considered to be a wish you were making to the Gods, offering them up your drink as you raise your glass. Celebrating with a glass filled with water, a dull and neutral drink, was not appreciated the Gods, who would shower down ill fortune on anyone who dared to do so.